Meet Todd Branham: Race Director for Blue Ridge Adventures, contributor to Trail Solutions, and Pisgah National Forest legend with a deep love for the trails he shreds. Branham has made a life for himself surrounding what he loves most – mountain biking. 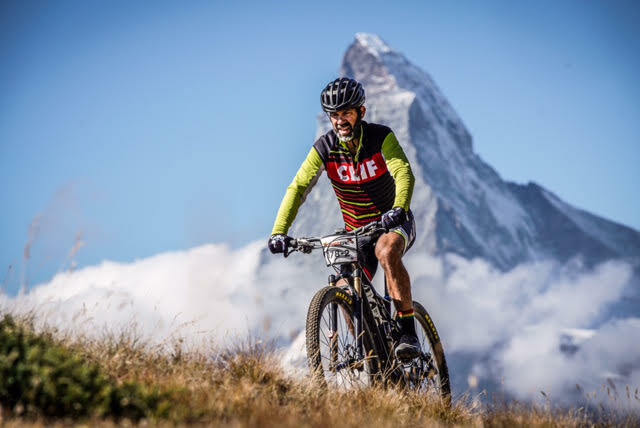 He’s been racing for over 30 years and is recognized for curating and delivering world-renowned races to the tallest and most rugged mountains this side of the Mississippi since 1998. Though he’s known for many accomplishments in the mountain bike community, he’s best known for the Pisgah Stage Race. says Julie Bacon, Digital Marketing Manager for Blue Ridge Adventures through Darby Communications and avid mountain biker. The success in his races is no accident. Branham is a devoted and hardworking professional trail builder, creating and restoring trails all around the world. “He is dedicated to the trails he loves so much and is known as a resource in the trail building community,” says Bacon. We asked Branham some questions about his journey with mountain biking. Todd Branham hiking a trail. Photo courtesy of Land of Sky Media..
Where did it all begin? Where and Why did you build your first trail? It started when I realized that doing volunteer trail work in the Forest was the ONLY way at the time to DIRECTLY impact the Forest your operating in. I started working with trained officials of the Forest and became a trail crew leader in Pisgah National Forest. A few years later I received a call from a long time friend that had a professional trail building company ( Long Cane Trails ) and needed some extra hands. I worked in S.C. a bit on trails and eventually bought 50% of the company. 20 years later we have built over 300 miles of new trail and refurbished many more miles of trail. We have built in 3 countries and in all types of terrain. Why have you devoted your life to mountain biking? 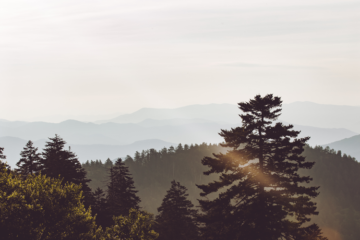 What got you to create Blue Ridge Adventure and the Pisgah Stage Race? Blue Ridge Adventures was formed due to the passion to find my placement in the world around Cycling. I realized I wasn’t quite good enough to be a pro rider, so promoting events seemed very interesting too. I got my hands dirty with promoting cycling events at the bike shop I worked at in college. At the time no one was operating any cycling events in the Pisgah National Forest. I started 21 years ago with a dream to share Pisgah with folks, this wonderful place that in the cycling world had yet to discover. Today, elite athletes sworn here and the world’s eyes focus the terrain of these old mountains in WNC. Pisgah Stage Race was born to celebrate our area that is one of very few in the US that can actually pull of such an event. 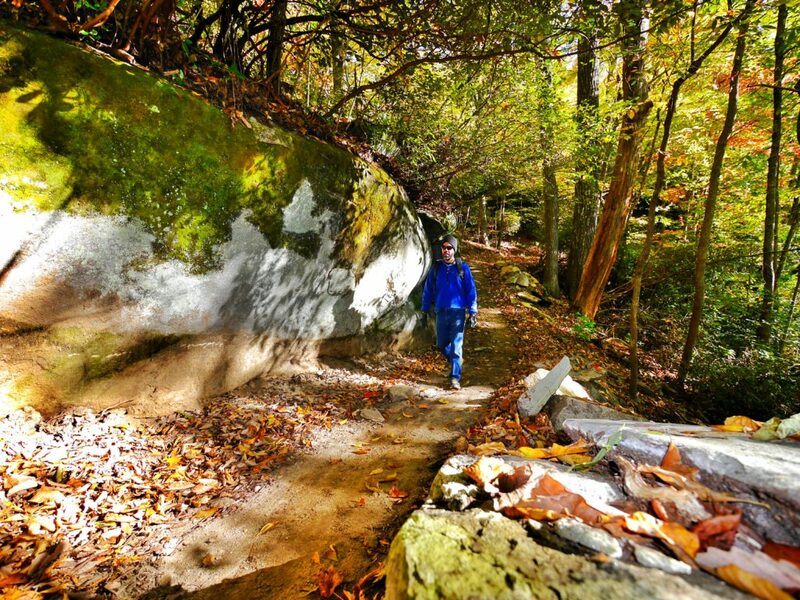 With so many trails in our area that connects to one another, Pisgah is very unique. Top that off with being able to connect town to the forest and magic happens! This simply doesn’t exist but in a few towns in the US- trails linking from your town DIRECTLY to the US Forest Service trails. Racing all over the world myself has shown me what a special place I live in. I wanted to share this with the world. What are some of the most memorable moments of the Pisgah Stage Race? Watching people’s minds constantly being blown at the level of our event and how awesome the Pisgah Forest really is. I get this satisfaction every year as Pisgah still has not been discovered by some. I know it’s world class, it’s always cool to show others that. What were the highlights of your racing career? Winning the 2009 East Coast unification race was a bonus on being the 2009 National Series Cross Country and Enduro Champion in my age category for the US. This victory was surreal. Partnering with my good friend Wes Dickson at the famed BC Bike Race to get 4th was pretty spectacular also. Now days I enjoy mixing it up with the top racers across the world on my bike at stage races. It’s such a great way to explore new places! Branham is living proof that following what you love is by far the best way to spend your time. You not only bring happiness and satisfaction in your own life, but your excitement for what you do resonates in others and inevitably produces your best work. His passion has made Branham an icon in the mountain biking community and an inspiration to us outdoor lovers.